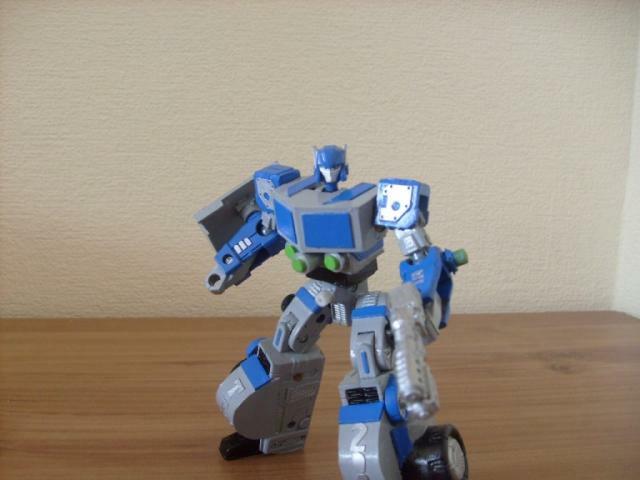 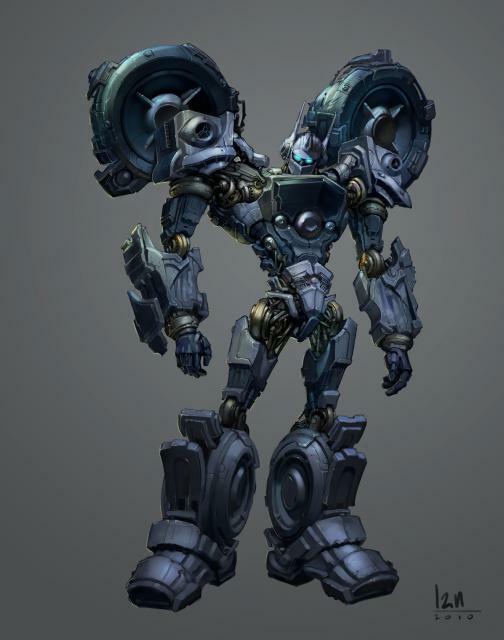 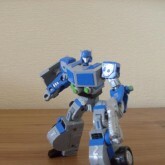 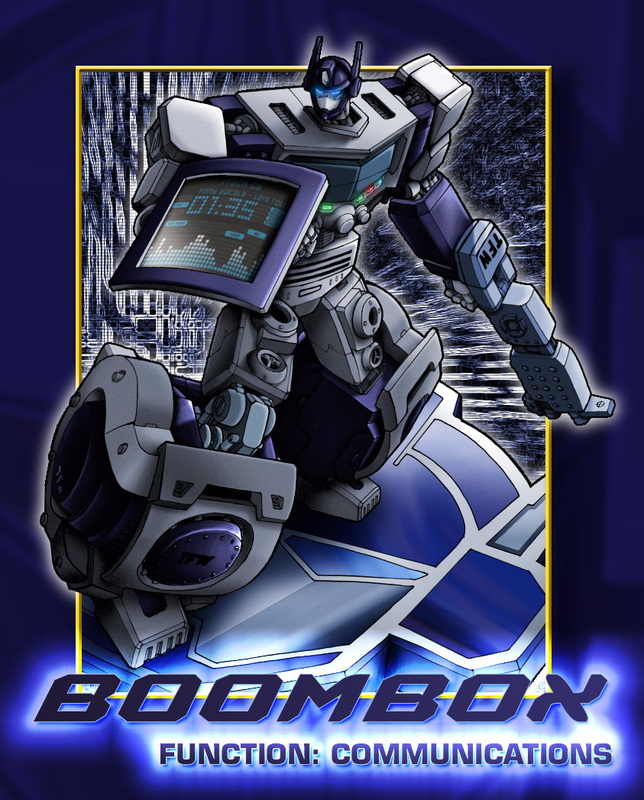 Boombox is a rogue agent on Cybertron providing information to both sides of the Autobot/Decepticon war. 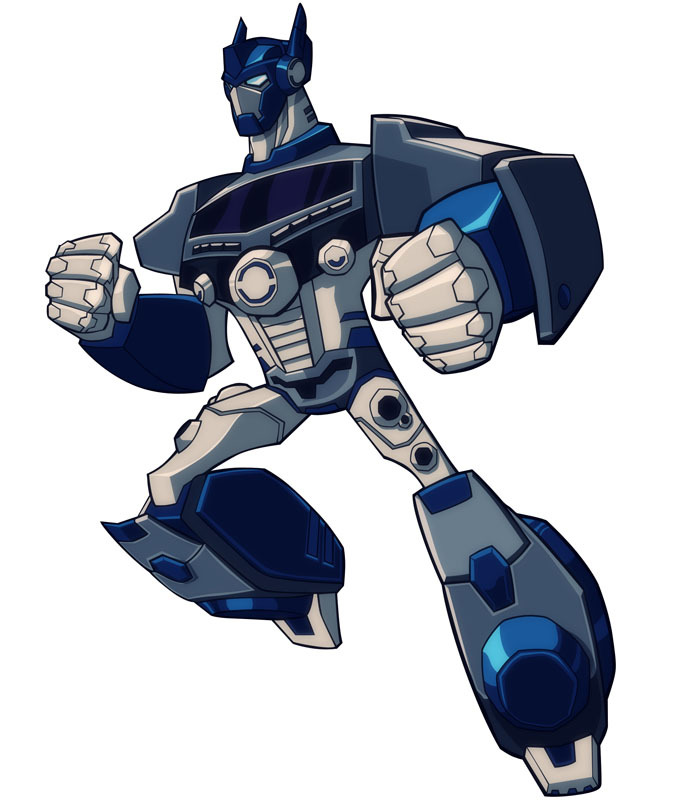 He was an up and coming communications expert before the war, building and securing the networks top brass used to transfer the most important of data. 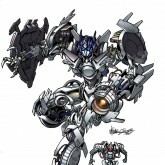 When the war begun, he felt shunned, his future ruined, and decided not to choose a side at all, but rather to play them both. 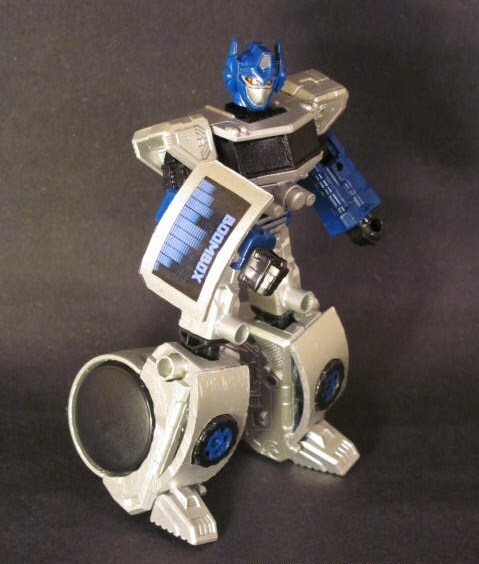 Boombox has an Energo-Shield attached to his right arm which can reflect the strongest Energon blasts. 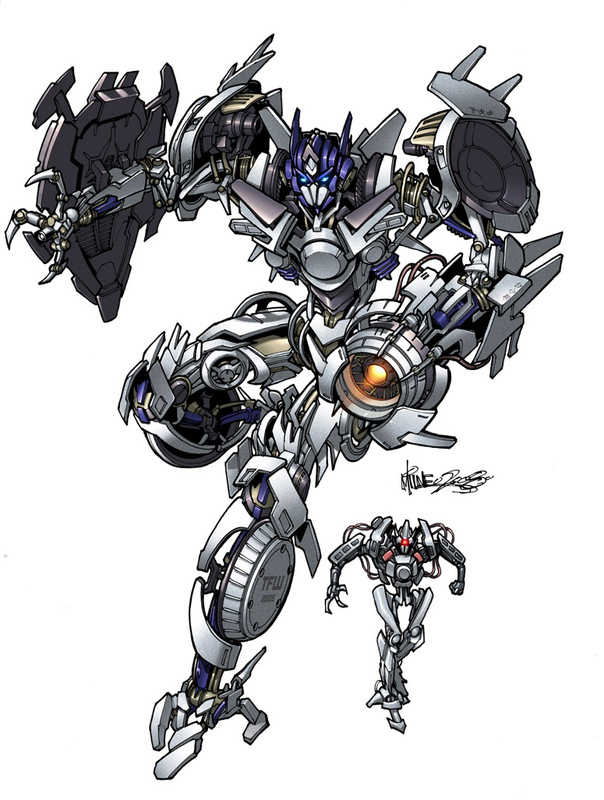 His weapon is a computer driven Laser Burst Pistol, which can shoot laser beams at different frequencies depending on the target. 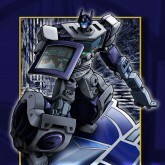 His technology skills are beyond match, he can crack the deepest core system and transfer out 9.7 Quadra-Terrabytes per nano-second. 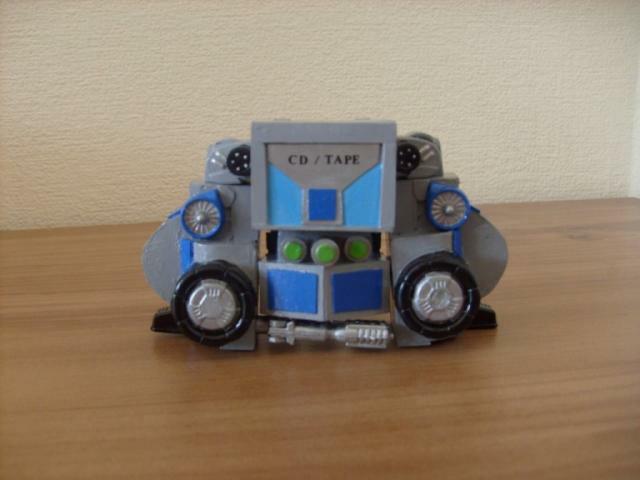 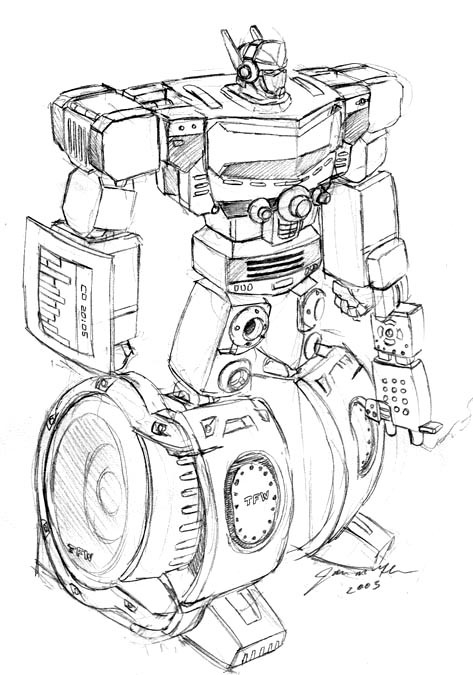 Boombox also controls an army of Earth styled CD drones which he stores in his abdomen region, an answer to the dated "Tape" technology used by his arch rivals, Blaster and Soundwave. 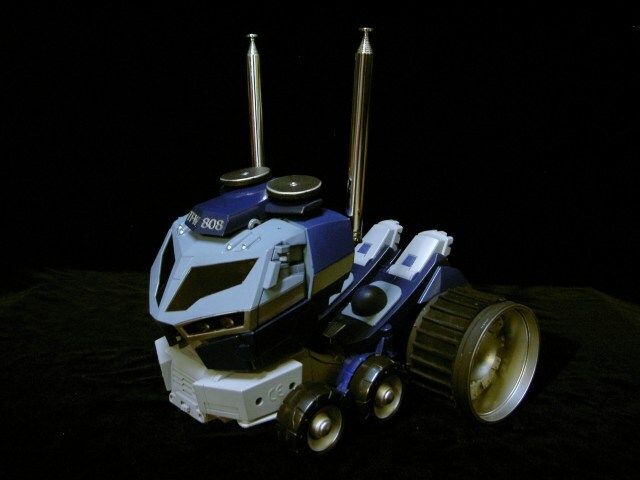 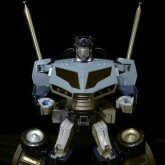 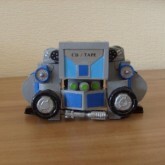 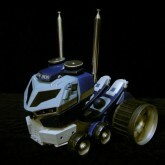 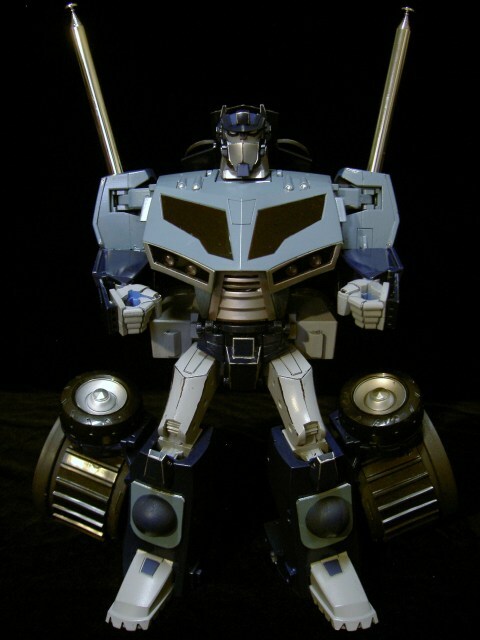 His current alt-mode is an earth style portable radio system which can produce sonic waves capable of destroying small buildings. 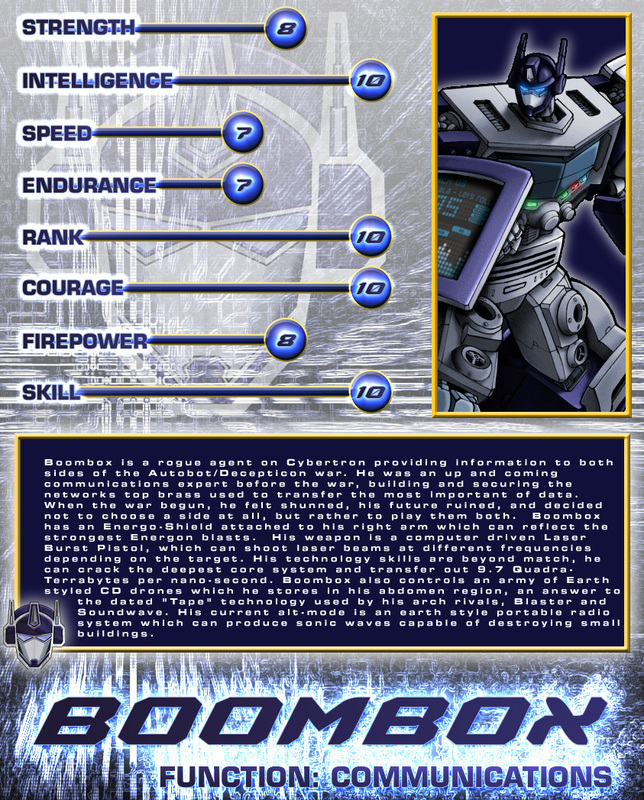 Weapons/Abilities: Boombox is a highly skilled spy. 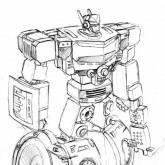 He has the ability to scan and record millions of variations in radio frequencies, making transmissions between faction members impossible to keep private. 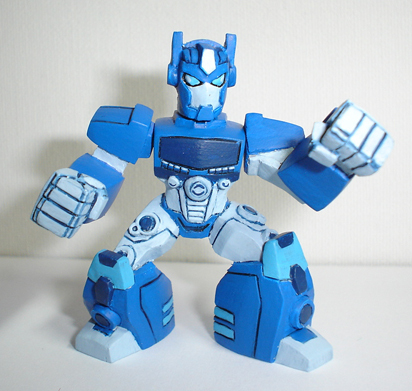 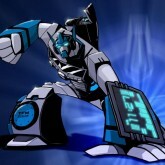 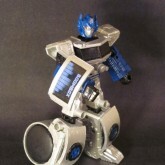 Boombox can decode all known encryption methods, and is the fastest "hacker" Cybertron has ever seen. 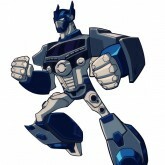 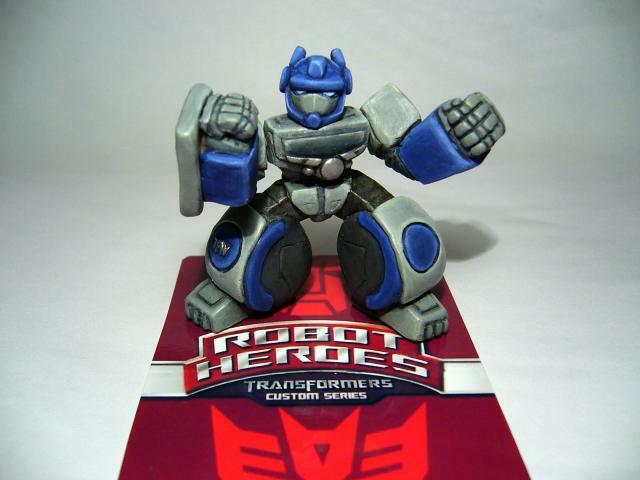 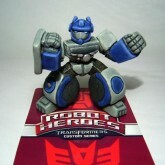 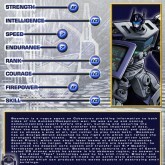 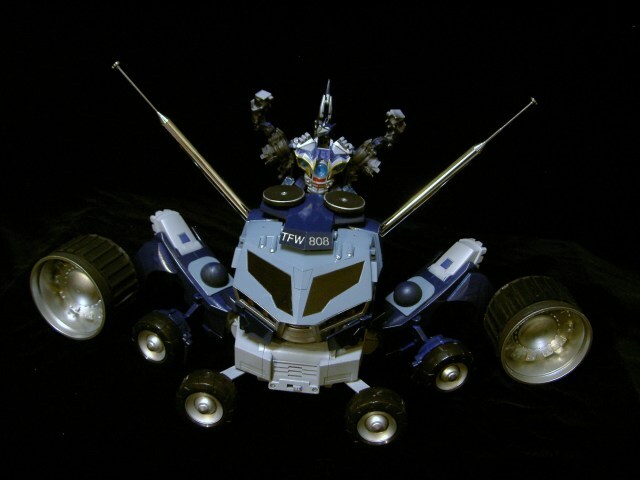 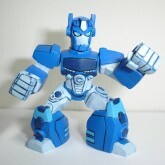 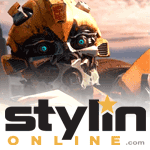 It is said he can crack into the core system of any Transformer and wipe their personality clean within nano-clicks. 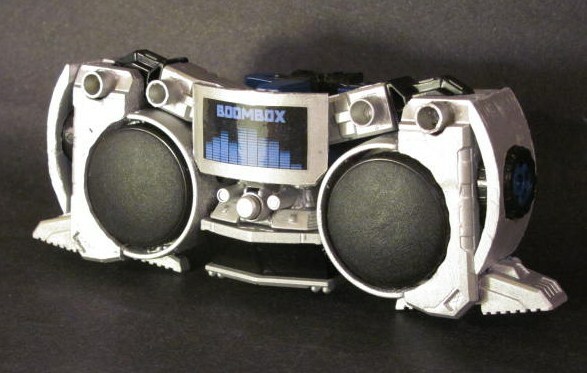 Boombox carries a computer-driven Laser-Burst Pistol, which hones in on the spark frequency of the target and emits several laser beams which put the target in a coma-like state if it lands. 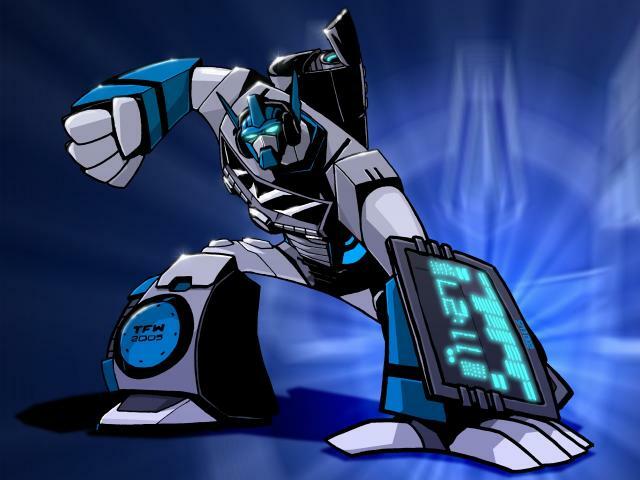 On his right arm, Boombox has a Energo-Shield, which can reflect all energon and standard physical ammunition oriented attacks. 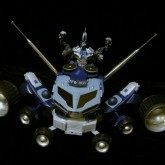 Boombox also carries "CD-Drones" which he can eject at will. 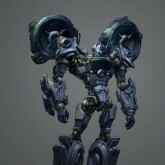 They take the shape of thin bird like creatures with razor sharp edges. 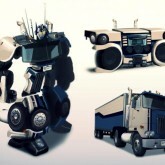 They have no individual personality and are controlled solely by Boombox. 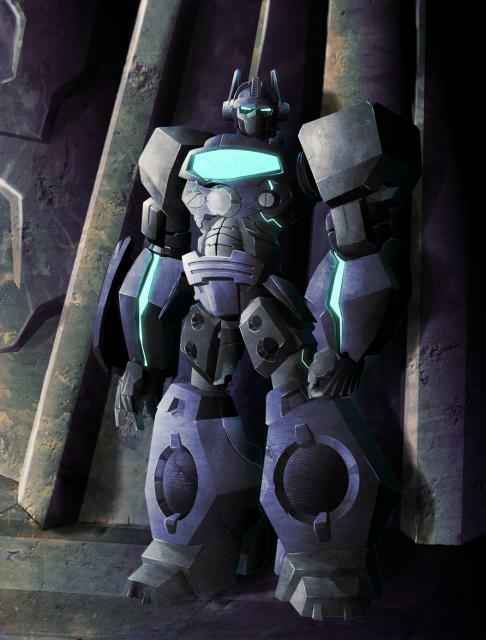 Each are equipped with a standard Energon beam in each eye. 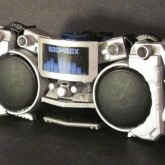 Boombox can control up to 100 of these individually at one time. 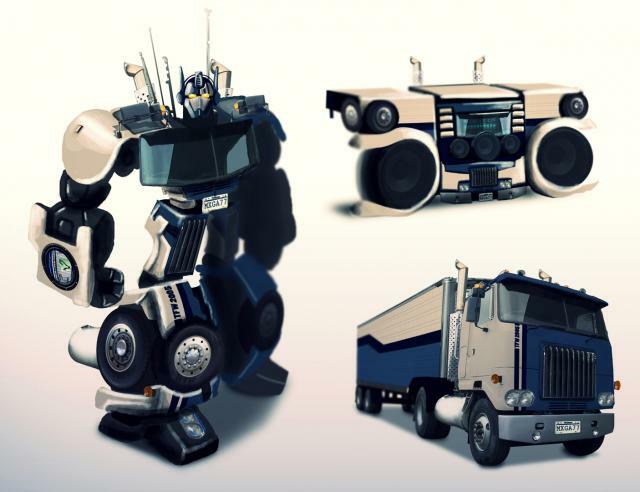 In alt-mode, Boombox can emit sonic waves from his speakers which cause vibrations strong enough to completely level small buildings. 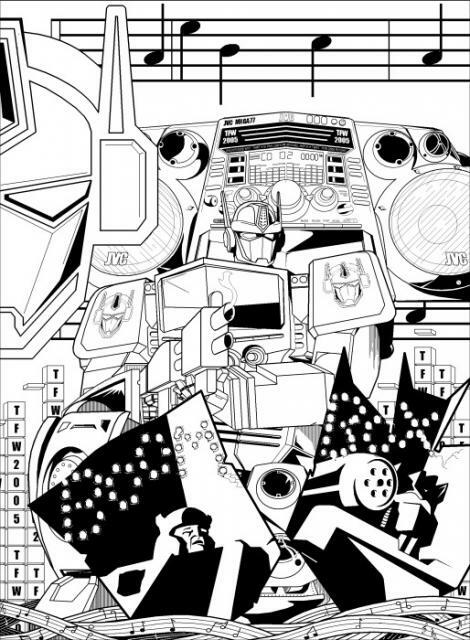 Weaknesses: Boombox is prone to being consumed by his work. 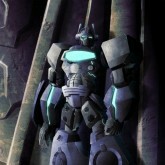 When on a mission, he rarely thinks of anything else and the consequences related. 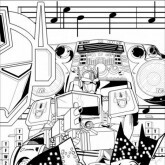 Boombox also has a passionate hatred for Blaster and Soundwave. 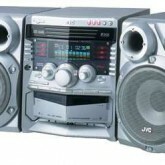 When these subjects are present Boombox's focus decreases on the task at hand.